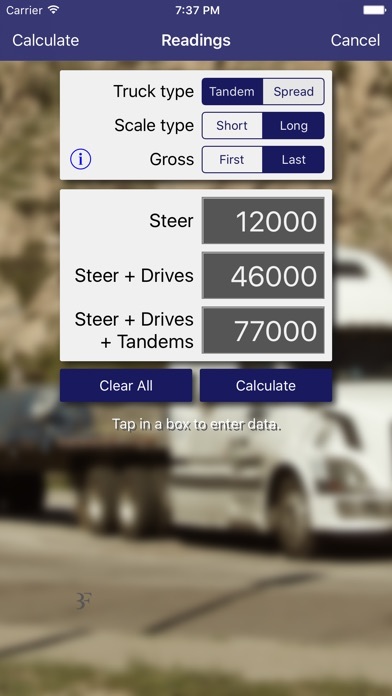 Truck Scale Calculator is a utility app designed to assist truck drivers in analyzing the weights of their axles. 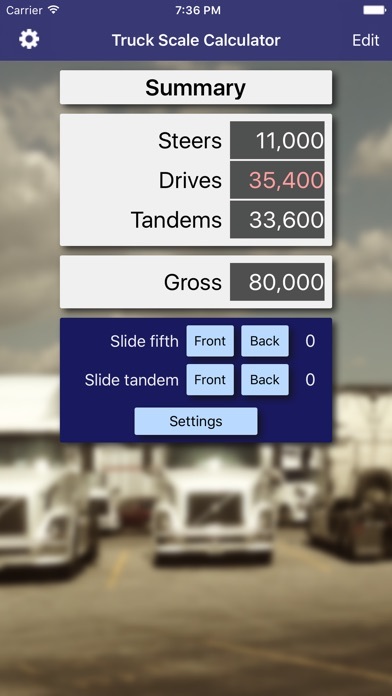 It is designed for rigs which are either: 1) 3 axle sets, including steers, drives, and tandems; or, 2) 4 axle sets, including steers, drives, and two different spread axles. It is also designed to input the scale readings from either a short platform or long platform scale. 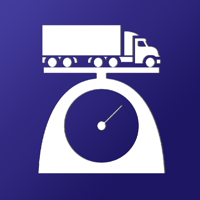 For long scales, it can compute for either "scaling on" or "scaling off" - i.e., gross weight first or last. 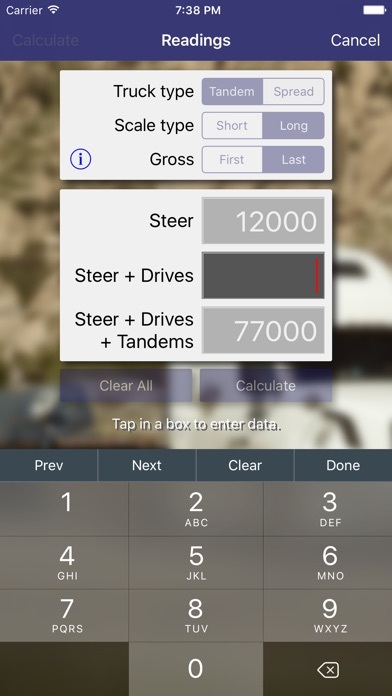 Once the readings are entered, the app calculates the weights on each axle set and displays them in a summary screen. Weights that exceed the predefined limits (which can be adjusted in settings) are displayed in red. Then, the user can adjust the fifth wheel toward the front or back, and the steer axle and drive axles weights will be adjusted according to a predefined amount which can be adjusted by the user. For tandem rigs, the user can adjust the tandem slide toward the front or back as well.